Dr. Duncan joined AEC in 2011. She has a BS in Animal Science from Michigan State University (2004) and obtained her Doctorate in Veterinary Medicine from Michigan State University (2009). Dr. Duncan is a member of the AVMA and VECCS. Prior to joining AEC, Dr. Duncan practiced in a small animal veterinary hospital seeing both routine and emergency cases. Her veterinary interests include soft-tissue surgery and ultrasound. "I always strive to provide my patients with the newest and best medical care. As a veterinarian, I believe our learning is never done. Therefore, I attend continuing education seminars along with reading current journal publications. I love both surgery and internal medicine and am a strong believer in pain management - but what I love most about my job is working with pets and their people!" Dr. Duncan is married to her wonderful husband, Ian, and together they have two sons, a small horse farm, a Saint Bernard and a cat. 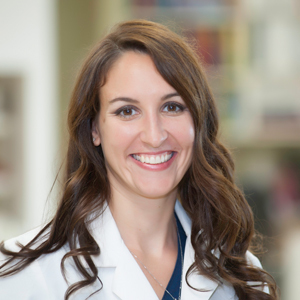 Dr. Duncan's hobbies include horseback riding, Zumba, playing the piano and traveling with her family.